Exoskeleton robots are generally used for rehabilitation and load-carrying applications. Stable and flexible walking with minimal energy consumption of the human body is achieved by the compliant operation of the human joints. Essentially, the stiffness of the human ankle joint varies continuously, while the stiffness of the knee and hip joints remains nearly constant during loading phases of the walking cycles. With inspiration from the human leg biomechanics, a new biomimetic compliant lower limb exoskeleton robot (BioComEx) was constructed and its preliminary experimental tests were carried out in this paper. A variable stiffness actuator was developed for the ankle joint of BioComEx, and series elastic actuator designs were employed in the knee and hip joints of the robot. The joint actuators of BioComEx were designed longitudinally in order to be embedded inside of the thigh and shank leg segments for the compactness. Separate force sensors were employed in each segment of the robot for the modularity of the control strategies. Since the exoskeletons can be used for both load-carrying and rehabilitation, the developed robot was tested in both human-in-charge and robot-in-charge modes, respectively. The robot needs to mimic movement of healthy user joints in the human-in-charge mode and maximize the compliance between the user and robot; thus, the interaction forces should be reduced as possible. Hence, a modular closed-loop impedance control algorithm was developed for this mode. On the other hand, in the robot-in-charge mode, the robot joints need to track predefined gait references to make the patient walk. PID position control algorithm was chosen for preliminary test of the robot in this mode. Experimental results show that BioComEx is sufficiently satisfactory for walking applications of healthy and paralyzed users. 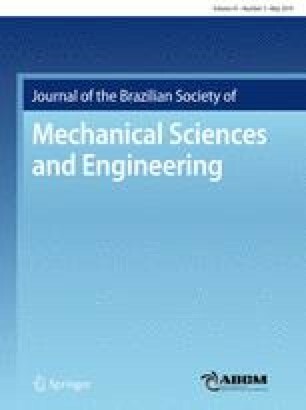 Technical Editor: Victor Juliano De Negri, D.Eng. The author(s) would like to thank TUBITAK (The Scientific and Technological Research Council of Turkey) for the financial support of a research project numbered with 213M297 and titled as ‘‘Design and control of a biomimetic exoskeleton robot’’.